There is a wide range of reasons why a girl may prefer to wear shorts or pants to school. The reasons can range from modesty, to ease of movement when undertaking various activities in class and in the playground, to simply preferring pants or shorts over skirts or dresses. In the world beyond school, there are very few workplaces or occasions where women do not have uniform options that don’t discriminate. If we are to envisage a world where there is true gender equality, we must address long-held traditions and institutions. Just because something has always been a certain way, doesn’t mean it must be that way forever. Girls are speaking up and calling for options, and even if it is only one girl who feels that she will feel more comfortable, safe or focused on learning if she is able to wear shorts or pants, allowing her to do so is simply the right thing to do. At QTU Conference in July 2017, the Union adopted as policy that it would campaign for the Department of Education to compel all schools to provide a list of school uniform choices that do not discriminate against girls. 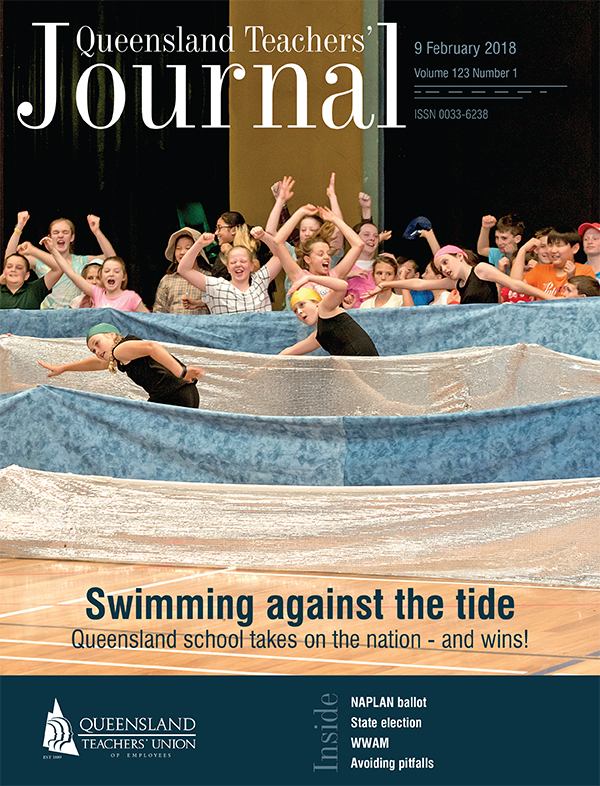 Specifically, the QTU is seeking changes to departmental policy so that rather than “encouraging” school communities to have a “gender neutral” uniform option available, schools would be required to put in place a non-discriminatory uniform policy by adding the choice of pants and/or shorts for both formal and sports uniform, if it is not already an option. While some styles of uniform, for example polo shirts and knit sports shorts, are appropriate for students of both genders, it is not appropriate for girls and young women to simply be offered the choice of wearing the boys’ school uniform pants or shorts. Many girls' body shapes require pants with a different fit from the boys’ styles and uniform options must reflect this. Some schools have experienced difficulty with sourcing girls’ shorts or pants from uniform suppliers due to their incapacity to place very large orders. We are beginning to hear from a range of schools, both large and small, that have put various action plans in place to either source uniforms from those suppliers who have appropriate options available, or to offer families advice on where to have pants or shorts made locally to a particular pattern and fabric. Given that there are many schools where this option has always been available without any adverse consequences, one has to wonder what the problem is or why the Department of Education wouldn’t address this matter and compel all schools to ensure they are not discriminating. It’s not all that long ago that women were required to resign from the department when they were married or had a child. It’s not all that long ago that women school leaders had titles such as senior mistress. Incredibly, it is not all that long ago that women were expected to wear dresses, skirts and stockings to work in classrooms or in the public service.